Safelist marketing is a waste of time! Hello and welcome to April! Lots of good stuff to report this month so let’s get right to it. First is a new safelist that was launched last week by my friend Anderson Goncalves. It’s called Genie Mailer. The site is brand new so there are not a lot of members yet but they are giving away free upgrades until they reach 500 members. I spoke with Anderson this morning and he said they are just past 400 members. If you join today you should still have time to lock in your free upgrade. Click here to join. I’m a big dummy. I realized last month that I had been making some mistakes with a few popular mailers. The first was Active Safelist. I noticed last month that Active Safelist was ranked way at the bottom of my list with 0 sign-ups. It’s a popular safelist and I submit there every day so that didn’t seem right to me. I checked my ad and noticed I was using an old tracking link from almost 3 years ago. Oops! I updated it with my current tracking link so hopefully I should start seeing some better results there soon. I also messed up with List Bonus but not as bad. List Bonus is one of the very best mailers out there but I noticed over the last few months that it had been slipping in my rankings. I try to maintain upgraded memberships at all of my safelists and viral list builders to keep everything fair but it turns out I was never upgraded at List Bonus. Oops! I grabbed their 1-year upgrade and now I am starting to see the full potential of this site. Unfortunately I didn’t do this until 2 weeks ago so this month’s stats are going to be a little bit off. I guess it says a lot though that even with a free membership List Bonus has been able to compete with all of my upgraded ones. Here’s how it works. 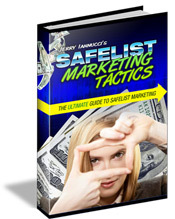 Every day I send emails promoting a series of squeeze pages for my ebook Safelist Marketing Tactics on 30-40 different safelists and viral list builders. I use a link tracking service which shows me how many hits I receive from each site as well as how many new subscribers I received. As I mentioned earlier I do have upgraded memberships on most of these sites which often allows me to send my ads to more members and more often. I also spend about an hour each day clicking for enough credits to send my ads to as many people as I can as often as possible. Not a bad month. The top 3 seems pretty stable. List Joe seems to bounce up and down in the rankings every month. I’m not sure why that is. Viral List Builder Plus also dropped from it’s top spot where it had consistently ranked for the last few months. No idea why. Everything else looks just about right though. So ends another fun filled safelist ranking report. Keep in mind that these are my own personal stats and they are based on my own efforts. Your results will probably be different from my own. I provide these stats every month to give you a starting point for some new safelists and viral list builders that you can try. The only way to know which sites work best for you is to track your own stats. You can get the same link tracker that I use for free from TE Toolbox. This entry was posted on Sunday, April 1st, 2012 at 4:28 pm	and is filed under Best Places to Advertise, Internet Marketing, Safelist Rankings, Safelists. You can follow any responses to this entry through the RSS 2.0 feed. You can leave a response, or TrackBack URI from your own site. 3 Responses so far to "The Best Safelists for April 2012"
Thanks for the information Jerry. 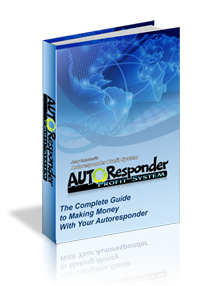 Those stats or a good gage on what safelist are working the best on free ebook offers like yours. I’m new to safelist and like your stat updates. Your blog is a great resource for people to learn about safelist and building a list. I will also take you up on your offer with the new safelist, Genie Mailer. Keep up the good work! Thanks for the info., Jerry! It’s nice to come here to see which safelists are working for you.